Welcome to the Christmas season! Join in on the holiday fun by tuning in to the official DIRECTV Santa Tracker app. Enjoy the innocent wonder with your children as DIRECTV tracks Santa Clause across his entire Christmas 2018 campaign. Santa’s annual flight does not start until December 24th, but there are plenty of activities available on Santa Tracker leading up to his grand global cruise. Tune in to channel 110 from November 21st through January 3rd, and keep the little ones in the spirit all month long with the following interactive Christmas content right on your DIRECTV. Play a selection of original Christmas games with your friends and family on DIRECTV! Choose from Jolly Dropper, Cookie Crumble, Present Panic, and Santa’s Workshop. Play right on TV with your DIRECTV remote. Winner gets dibs on Santa’s left-over cookies! Why brave the winter cold when you can go caroling on TV? Introducing DIRECTV’s Christmas Karaoke Sing-Along! The words to your favorite Christmas songs scroll along with the music, and make the season bright. This interactive survey game is sure to make things interesting. “Naughty or Nice” is a carefully designed questionnaire, developed to accurately determine which of Santa’s lists you and your family might be on! Be honest, and see what your score is for this holiday season. Maybe Santa will take your name off the naughty list for answering correctly. Snuggle with family to a collection of winter-themed stories available both for you to read out-loud, or enjoy the audio-book on screen. Read your children a seasonal bedtime story without ever having to leave the couch, and they can read with you on DIRECTV. This is quickly becoming a fan favorite this holiday season. Search no further for those classic Christmas movies you crave every year. Santa Tracker has them organized and ready for your viewing pleasure! Want to keep your TV in the Chrismtas spirit when you’re not watching DIRECTV? Choose a holiday screensaver to turn your television into a social center piece. Hello Sonya! The Holiday Screensavers are a part of the “Santa Tracker” TV App from DIRECTV. 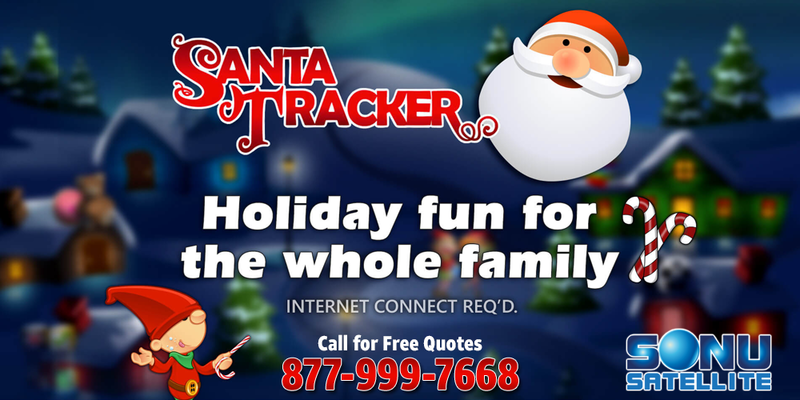 Santa Tracker is an interactive TV App filled with family-friendly holiday games, karaoke, and more, including the ability to track Santa on his journey around the globe on Christmas Eve—all on Channel 110, or press the right arrow on your remote to launch the App! When we open the “naughty or nice” part of the Santa Tracker, there are Christmas icons but no names. Hello Anna! Greatly sorry for not responding to this earlier, as our office was closed for the holiday both Monday and Tuesday. We hope this was resolved, and allowed your family to enjoy the Santa Tracker.